Our newest business centre is off to a fantastic start, with four businesses signing up to our new commercial premises at our recent open day. We have taken over Team Valley Business Centre in Gateshead after it lay empty for several months, and it has now undergone a full refurbishment. We welcomed lots of local businesses this week to find out more about our recession-busting opening offers. We are delighted to welcome Hutchinson’s fruit and veg, NDL Media Ltd, Valley House Deli and Hall FM Security Ltd as Team Valley Business Centre’s first customers. Hutchinson’s is a well-known name in the region, being a third-generation fruit and veg merchant which has traded since the Victorian era. It is run by Dave Hutchinson, whose grandfather founded the company selling fruit and veg from his horse and cart. Dave’s father took over the company from the 1930s to 1970s and developed the firm as a retailer in the North East with his younger brothers. Dave’s unit at Team Valley will be a base to distribute fruit to catering businesses and many other types of firm. His goal is to encourage businesses owners to buy fruit for their employees, to encourage healthy eating and promote staff wellbeing. 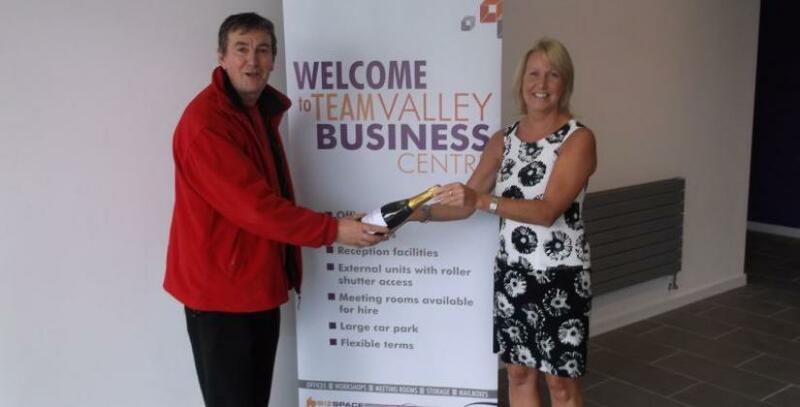 “Team Valley Business Centre is the perfect site for me. There is a new wholesale fruit and veg market just a stone’s throw away and this location will enable me to provide a distribution and retail service throughout the Team Valley,” Dave says. Business Centre Manager Stacey Normandale says she is delighted with the response so far. “Dave was one of the first people we met on the open day – he arrived early to make sure he got first pick of our larger units – and we are really pleased to have such a long-standing local company on board,” she says. For more information contact Stacey on 0191 375 3930.